Tell University of Kansas to revise its speech policies by filling out this form. The University of Kansas censored an art installation because government officials complained about its message. University of Kansas assistant professor of communications studies Andrea Quenette was cleared of any wrongdoing after a four month investigation into comments she made during a candid, in-class discussion on race. The Kansas Board of Regents enacted a broad and vague system-wide speech code restricting “improper use of social media” by faculty and staff. The University of Kansas placed Professor David Guth on administrative leave after he posted a controversial tweet about the NRA. Yesterday FIRE’s Director of Legal and Public Advocacy, Will Creeley, and Director of FIRE’s Individual Rights Defense Program, Peter Bonilla, spoke at the 2014 American Association of University Professors (AAUP) Conference, which featured a series of presentations about university policies on faculty use of social media and other issues affecting academic freedom. As we wrote recently on The Torch, the Kansas Board of Regents has approved a revised social media policy regulating the speech of faculty members at the state’s public colleges and universities. The Board’s decision came despite the fact that the policy has been the subject of much criticism from free speech advocates, including FIRE, due to the fact that it authorizes punishment for constitutionally protected speech and leaves professors uncertain of their expressive rights. Oliver Bateman, an attorney and professor at the University of Texas at Arlington, expresses many of the same concerns in an excellent column yesterday for Al Jazeera America. Yesterday afternoon, the Kansas Board of Regents approved a revised policy on the “improper use of social media” by faculty and staff at the state’s public colleges and universities. The widely criticized policy asserts a commitment to freedom of speech yet authorizes punishment for constitutionally protected speech, and it still leaves professors unsure of what speech a university might sanction them for. Back in December, the Kansas Board of Regents enacted a policy on the “improper use of social media” by employees of Kansas’ public institutions of higher education that put academic freedom at risk. In response to a wave of criticism, the Board created a faculty workgroup to review the policy. The workgroup’s proposed policy released in early March, dropped several problematic provisions of the current policy in favor of broad free speech affirmations and narrow exceptions for punishable conduct. The Board Governance Committee has now drafted its proposed policy revisions in response to the faculty. The proposed revisions include promises of academic freedom but also, problematically, leave in place the overbroad and vague provisions that allow for punishment of constitutionally protected expression. 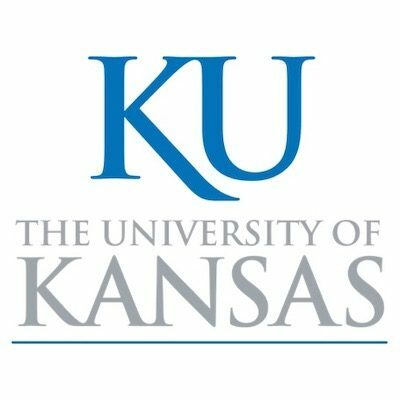 In January, the Kansas Board of Regents created a “workgroup” of public university faculty and staff to review the Board’s controversial new policy on “improper use of social media.” Recognizing the serious threat that some of the Board’s provisions pose to protected expression, the workgroup vowed to do more rewriting than reviewing, and yesterday they delivered. The University of Kansas’ Response to Professor’s Controversial Tweet Threatens Speech. Here’s Why.